Start Licensing’s Ian Downes heads to the NEC for the BBC Good Food Show this week. I had to switch my licensing autopilot off this week. I arrived at the NEC and was automatically attracted to Halls 1 to 3 in pursuit of gifts, cards and toys. Those Halls were empty. I was at the NEC for the BBC Good Food Show not the Spring Fair. I had to take the long walk over to Hall 17. The BBC Good Food Show is based on the successful magazine of the same name. It brings together a raft of food and drink superstars and soon to be stars. As I took the long walk I eavesdropped conversations between other visitors. The chat reminded me of the conversations you hear on the way to music gigs or sporting fixtures. Excitement, anticipation and energy abounded. Visitors were looking forward to meet and greets, coupled with live demos from their heroes. It was great to see so much enthusiasm from the visitors. This was a real demonstration of how a brand can be extended into the live space to create a commercially viable event, but also one that delivers a brand experience while motivating consumers. I was there to see one of my clients – Nadiya Hussain – present. 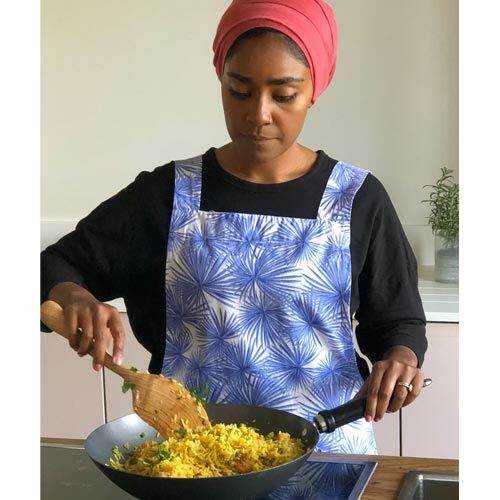 Nadiya appeared at two events – one was an interview hosted on the retailer Lakekand’s stand, while the other was a cooking demonstration in the live theatre. Both were well attended and the cooking demonstration in particular further showed me Nadiya’s rapport with the public, while it was literally another demonstration of how live events can connect with consumers. In a crowded and competitive market, live events can really break through and motivate consumers to spend. Nadiya is a natural presenter aided by a great co-presenter who interviewed her as she cooked; real multi-tasking. As the food flavours wafted around the theatre you could see that the audience were loving the live experience. A signature dish cooked live is the equivalent of a winning goal or a favourite music track being belted out. Beyond admiring Nadiya’s cooking, a real highlight for me was that she was able to talk about the development and launch of her homewares range with BlissHome. This has been a real hands-on collaboration and an example of ‘authentic’ licensing. Nadiya has helped create the range in terms of colourways, patterns and finishes. Lots of meetings in development terms took place in Nadiya’s kitchen, adding an extra pinch of authenticity to things. Nadiya’s reference to the range during her demo was quite natural and was in the context of her talking about her career. Of course it was a welcome boost to the range. Initially the range has been launched online, supported by social media and PR. The idea behind this is to create momentum and also to have some flexibility in terms of range development. The range will be showcased at Top Drawer and Ambiente next year with a wider roll out to follow. BlissHome’s approach to the launch is a good example and reminder that, in the contemporary licensing market, different approaches are needed. Fresh thinking is required to move things on. BBC Good Food has done a great job of marshalling terrific talent at the show. As well as Nadiya other talent on show included Heston Blumentahl, Michel Roux, the Hairy Bikers and Mary Berry. The wider show which features product, food, drinks and ingredient companies is relatively licensing light with most exhibitors focusing on building their own brands but, like many shows, it offered potential for new business. 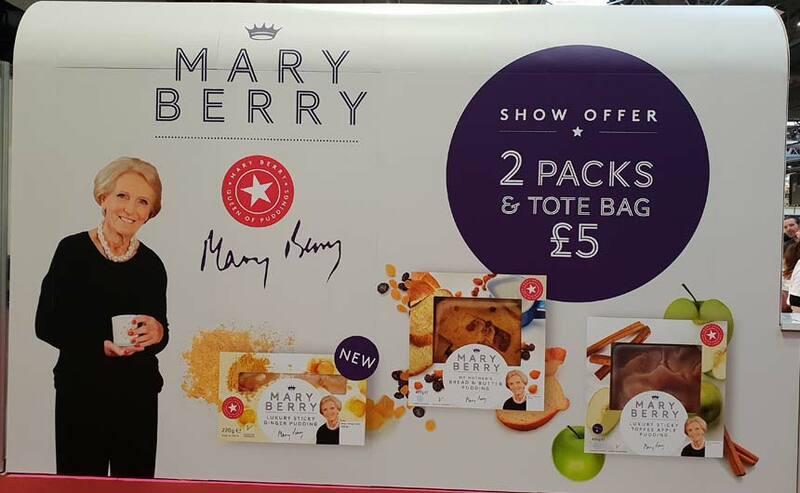 A couple of licensing highlights included a very prominent stand marketing Mary Berry’s chilled dessert range. The masterstroke was giving away free samples – always a winner at food shows. It was a popular stand. 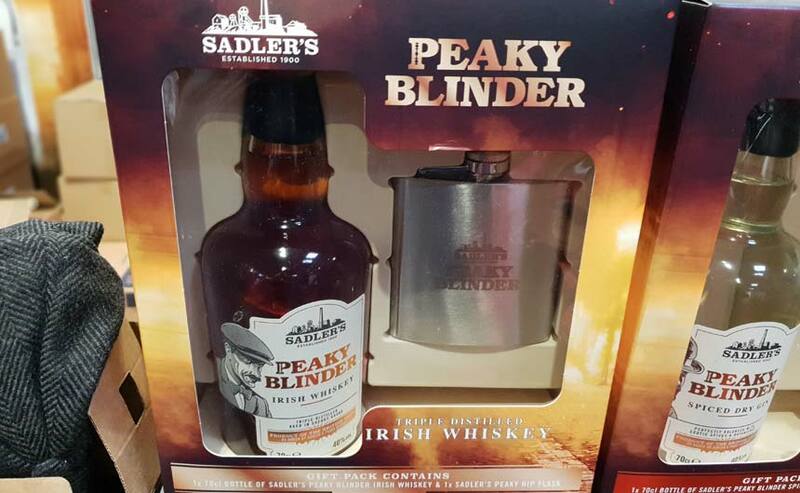 Sadler’s Brewery was also in attendance and a key feature of its offering was a range of Peaky Blinders alcohol products including beer and whiskey. One nice touch was a gift set which included a bottle of beer and a peaked cap. As mentioned Lakeland had a stand which was in essence a pop-up shop. A reminder that direct selling is one way of creating retail momentum. It combined the stand with a book signing area which allowed it to sell books. It is easy to overlook the fact that books are a form of licensed product. Lakeland has been very canny about adding books to its product offer. I know from Nadiya’s signings that book sales were strong at the event. As I left the show and made the walk back to the station, I took note of the Forthcoming Attractions adverts on the walks. Many of these confirmed to me the link between live shows and licensing, coupled with a sense of encouragement that good IP will always find an outlet but sometimes it might be a show rather than a shower gel. 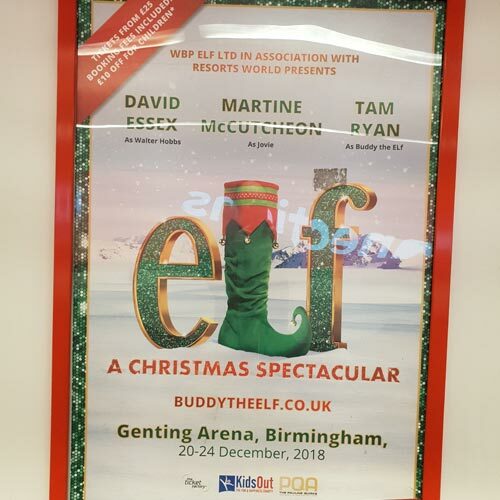 For the record – and for your diary – shows soon to arrive at the NEC include Elf the Musical, Mrs Brown’s Boys the Musical and a stage show based on hit comedy Benidorm (not a musical … I think ). 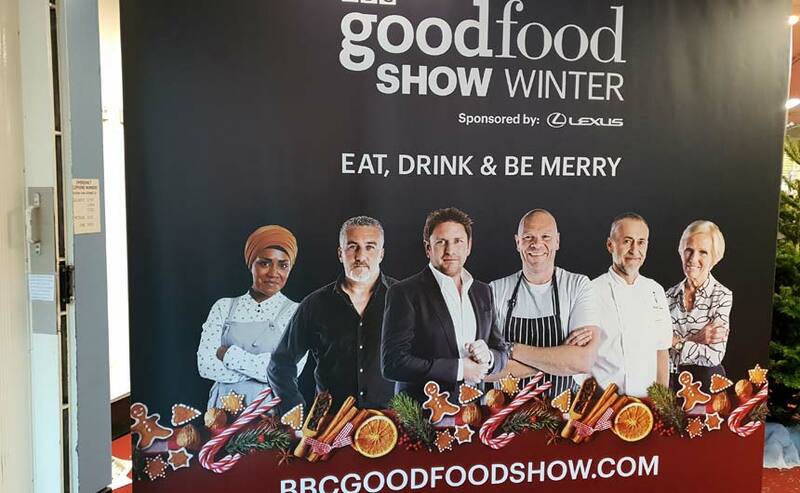 These are, of course, all stage shows, but what BBC Good Food Live shows is that brands can be extended into different styles of events and shows if the content is well curated and there is an identifiable consumer audience to sell to.